Welcome to the Department of Earth Science and Engineering - one of the world's leading centres that combines the study of Earth Science (geoscience) and Engineering. Apply for a PhD in the Department of Earth Science and Engineering. Find out about the range of topics and funding streams available. Support for your studies in Earth Science. Find out more about the Rio Tinto Scholarship for Geology and Geophysics. Apply now for 2019 intake. Researchers in the Department of Earth Science and Engineering are observing the injection of CO2 into rocks from deep underneath the UK North Sea using X-ray imaging. Within the department you will find all our staff are committed to ensuring a world class education for all our students with many staff also recognised Fellows of the Higher Education Academy. Find out about our undergraduate programmes in Geology, Geophysics, and Earth & Planetary Science. Find out more about the Metals and Energy Finance MSc programme, run in conjunction with the Imperial College Business School. Dr Mark Sutton,a senior lecturer in the Department of Earth Science & Engineering, and colleagues used digital reconstruction techniques to identify a rare and exceptionally well-preserved crustacean. Find out more about our MSc programmes in Metals & Energy Finance, Petroleum Geoscience, Petroleum Engineering, and Applied Computational Science & Engineering. The Mass Spectrometry and Isotope Geochemistry Laboratory in the Department of Earth Science and Engineering uses isotope geochemistry to tackle questions in earth, environmental, and engineering sciences. Research in this area focuses on understanding the deep Earth, surface processes and the evolution of solid bodies within our solar system. Find out more about earth and planets. Research in this area focuses on petroleum reservoir engineering, petroleum geology, petroleum geophysics and carbon-dioxide capture and sequestration. Find out more about petroleum geoscience and engineering. Research in this area focuses on modelling renewable energy supply, the sustainable production of earth resources, and mitigating environmental impacts and risks. Find out more about computational geoscinece and engineering. 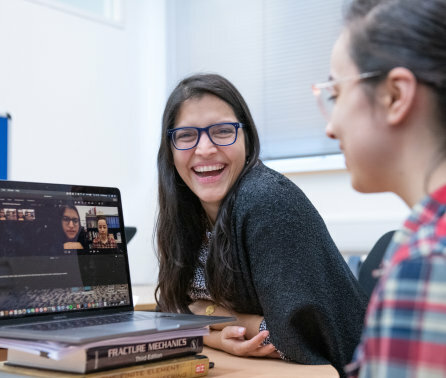 Our department has been ranked 1st place as the top UK Geology department in the Guardian University League Tables 2019 and The Times and The Sunday Times Good University Guide 2018. The best possible training to enable the development of observational and field skills with the fundamental science required to understand Earth processes and systems. Find out more about undergraduate courses. First class facilities and supervision with academic excellence. Find out more about postgraduate study. Opportunities which cover the full range of Earth Science-related fields. Find out more about PhD opportunities in the Department.